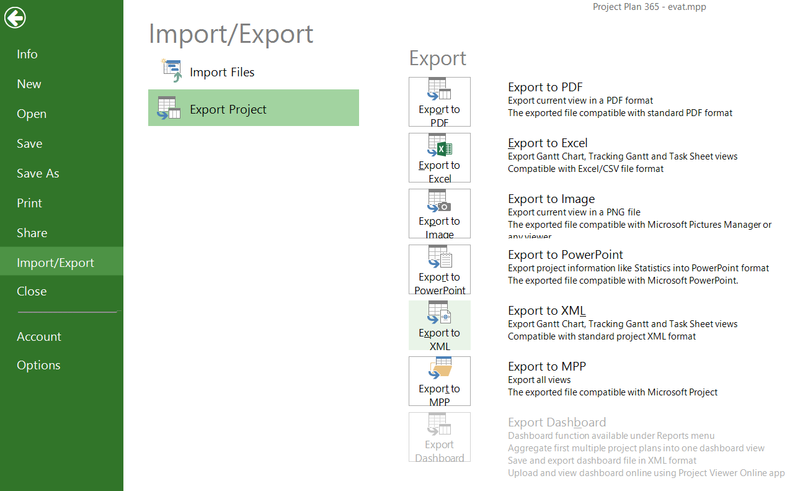 Export to XML option can be accessed via menu: File>Import/Export>Export Project>Export to XML. By using this option, the content of the list of tasks will be exported in an xml format. The exported file can be opened as a project plan in any compatible application. This format will preserve the outline information and format the data for better viewing. Now we support opening and exporting xml files created in smart sheet application.